Donalda has been an oncology nurse for 40 years, 35 years working in clinical oncology at Mount Sinai Hospital in Toronto, where she worked with both inpatients and outpatients and with both solid tumours and haematological malignancies, and the last 5 as an educator at de Souza. Her lifelong education focus has been on the novice oncology nurse, whether that nurse is a new grad or someone transferring into oncology from another clinical area. Donalda has held certification in oncology from both the Oncology Nursing Society and the CNA since 1998. She has served on the board of directors for the Canadian Association of Nurses in Oncology for seven years, five of which she was treasurer. 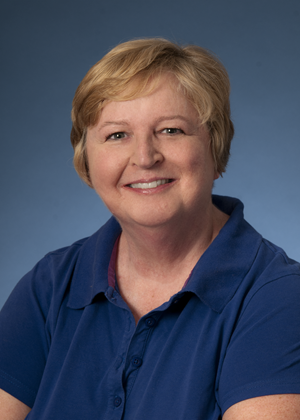 Donalda has done item writing and reviewer for the CNA oncology certification exam. She continues to be a mentor for those studying for the exam. In 2008, Donalda was nominated by her oncology peers and was one of the 100 nurses from across Canada to receive the CNA Centennial Award honouring her work in education of novice oncology nurses. In 2014, she was again honoured by receiving the Lifetime Achievement Award from CANO.